Accord Dental Group (Denver) - Book Appointment Online! 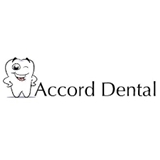 At Accord Dental Professional LLC, we believe that everyone should get the dental care that they need or want at the most affordable prices. Our dentists and staff are dedicated to providing our patients with the highest quality care, and to this end we use only state-of-the-art equipment and the latest dentistry methods that technology has to offer. We place a strong emphasis on preventive dentistry, and this includes not only looking for cavities, but providing oral cancer screenings on a regular basis as well. When you come in for an exam, we'll do a complete check of your teeth, the inside of your mouth, and your gums, and we'll schedule you for further treatment according to what we find. Easy visit. Need additional time for paperwork. Dr. Kovach answered all of my questions and gave me different treatment options. He was fantastic and I really appreciate the time he dedicated to my care!